It's the 4th of July! The anniversary of the day America became a thing! 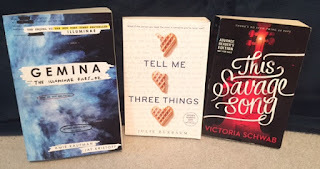 And to celebrate, I have a giveaway for y'all! Due to shipping costs, this giveaway is US only, but I will hopefully have an INT swag giveaway soon! I actually didn't really do anything for the 4th this year! I mostly spent it working on homework I had due that night. My plans for the rest of the summer are finishing up my online class, interning, reading, blogging, swimming at the pool, and hanging out with my family and some friends! Thanks for the giveaway!